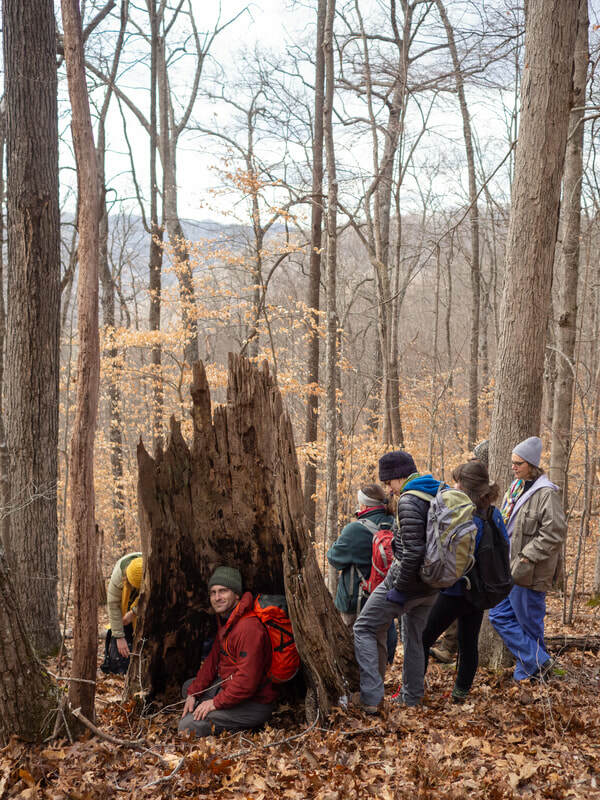 Hikers enjoy getting to the top of the ridge during our January 2019 hike to look at the proposed South Redbird project area. For this field trip we’ll be heading back up to the mountains of the Redbird District in Clay and Leslie counties to see what’s at stake with the South Redbird project, including an 0ld-growth forest with some trees over 300 year old on Little Flat Creek that the Forest Service insists should be logged. This will be a long, fairly strenuous day with much off-trail hiking. During the morning we'll walk a stand above Ulysses Creek that was recently logged as part of the Group One Redbird project. We’ll take a close look at the tremendous amount of damage that the Forest Service has allowed in order to sell some trees and create brushy habitat – the same type of management proposed for about 3,000 acres in the South Redbird project. This part of the hike will include a small amount of steep bushwhacking, but will mostly be on large logging roads. Afterward we’ll drive about 20 minutes to hike into the old-growth forest proposed for the same type of logging as part of the South Redbird project. We’ll talk about what make a forest “old-growth,” how old-growth is assessed, and what we’re doing to save this area. This second part of the day will be off-trail, up and down a steep slope, with about 450 feet of elevation gain. It'll be some work, but trust us, it's lovely. We will visit this mountainside above Ulysses Creek in the Redbird District which was logged and bulldozed to remove timber to "improve wildlife habitat" as part of the Red Bird Group One Project. Participants will meet near I-75 exit 41 in London at 9:00 am, and then caravan to the Big Creek area. We ask that no kids under 12 participate. Getting kids in the woods is wonderful, but this is not a suitable kids' hike. And no dogs, please. To complete your registration, please click the donate button below, then use the drop down menu to choose your donation level. We also accept checks and cash. Donations should be mailed to PO Box 1486, Berea, KY 40403. 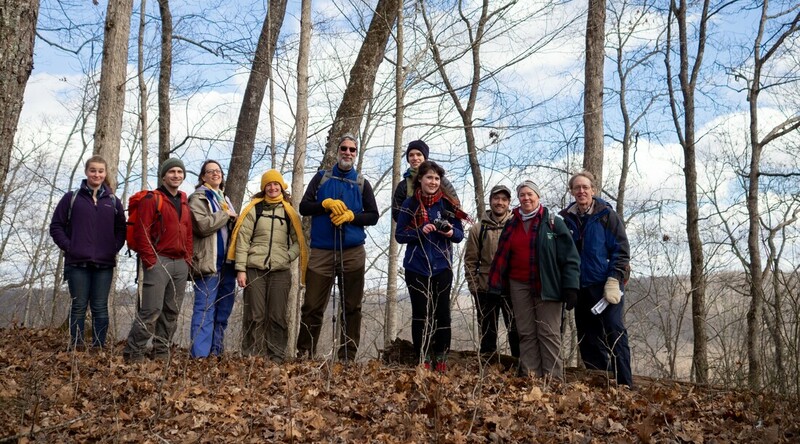 As time permits, this hike will take us to visit several old American chestnut stumps.